I am not ususally a fan of fruit in my meals. It just doesn’t sound good to me but for some strange reason today, I thought about salmon and mango together and decided to give it a try. 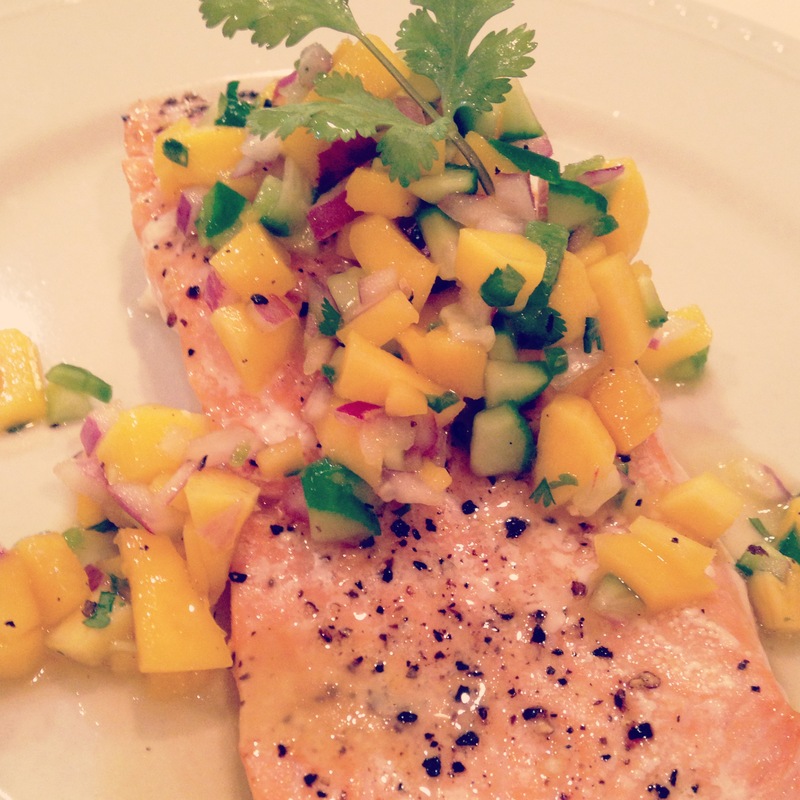 With the power of Google, I found Martha Stewart’s recipe for salmon with mango salsa and I must say, it was quite delicious! I just baked salmon as I usually do in the oven (simple seasoning of olive oil, salt & pepper) and then topped it with the salsa. It adds alot of flavor- a little bit of sweetness from the mango and a bit of a kick from the jalapeno. I highly recommend! 1. 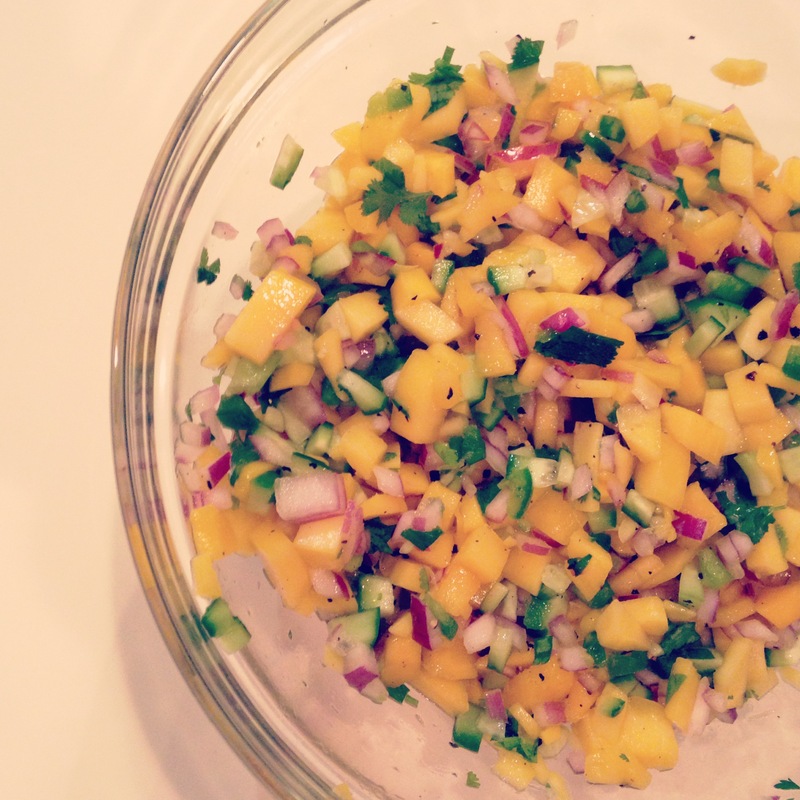 In a medium bowl, combine salsa ingredients, season with coarse salt and ground pepper. 2. Heat broiler. Season salmon fillets with salt and pepper. Arrange salmon on a rimmed baking sheet, broil 4 inches from heat source until filets are opaque throughout, 8 to 10 minutes. 3. To serve, place fillets on serving plates, and spoon salsa over fish. Garnish with cilantro sprigs, if desired. Next PostI know how to poach eggs now!